Dear students, nice to meet you. I like English and Chinese languages very much, and would like to dedicate myself to the better communications and understanding between these two different cultures. My Chinese pronunciation is standard, no local accent at all. 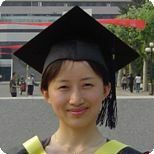 I am going to take various ways to enrich my class, and attract your interests in Chinese.